Don't let the name scare you, SpeedPLAY is not just for “fast” runners, it is open to anyone who wants to work on becoming more efficient while challenging their current running pace. Thanks to our vendor sponsor New Balance for partnering with us for this speed training program! Speed work is an important part of any training routine. Speed work doesn’t just make you run faster. It makes you fitter, increases the range of movement in your joints, makes you more comfortable at all speeds, and it will ultimately help you to run harder for longer. These sessions have been carefully designed to be beneficial to those who specialize in any distance and can be utilized by many levels of runners. In addition, interval training is one of the most efficient ways to burn calories! Our SpeedPLAY Training Programs are a great way to stay race ready and mix up your weekly running miles while becoming a stronger runner. The 8-week SpeedPLAY Training Program sessions are in the spring, summer and fall and can easily compliment any of our training programs offered throughout the year (5K – full marathon). During SpeedPLAY you will not only be coached on how to execute and benefit from a variety of unique pace specific workouts (hills, intervals, tempo, fartleks, etc), but we will also cover topics such as dynamic warm ups, cool downs, and body maintenance products that supplement faster workouts. SpeedPLAY is broken up into 3, 8-week sessions. Choose a session based on your personal goals and racing calendar or sign up for all 3 sessions and receive a discounted entry on the fall program. See schedule below. **June 4 we will meet at the Fleet Feet Stores. DISCOUNT FOR ALL SESSIONS: Commit to all 3 sessions of SpeedPLAY and receive $20 OFF the fall SpeedPLAY session. We will provide you with a promo code to register for the fall program at a discounted rate at the conclusion of the summer session. You must commit to the fall session by August 2 in order to receive the discount. Jessica has been coaching Fleet Feet running programs since 2005. 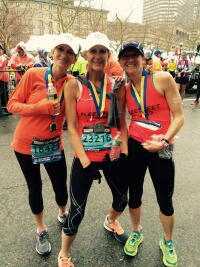 She has coached No Boundaries, 10K training and the half/full marathon training groups. She loves helping others achieve their fitness goals by being out on the course checking form, cheering on and encouraging runners, and answering racing and running questions at the stores. 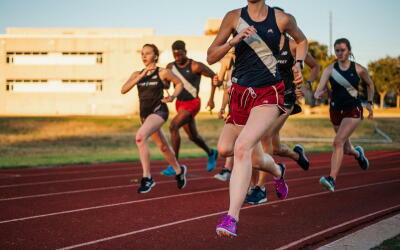 She also believes that speedwork is for everyone and every distance -- in moderation. Jessica is looking forward to coaching the west side SpeedPlay participants this spring! Originally from Waukesha, WI, David grew up as a runner participating in cross country and track in high school and college. More recently his training has switched to half and full marathons. David is looking forward to his debut at the Boston Marathon in April 2018. 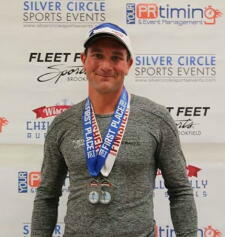 Better known as “Shirtless Dave,” he enjoys participating in Fun Runs, Pub Runs, and coaching SpeedPlay for Fleet Feet. His favorite part about running is the friends he’s made and the conversations they have while running. To David, Fleet Feet is like a second family. When not running or coaching, David enjoys brewing beer, kayaking and spending time at his cottage in northern Wisconsin. . Description: Don't let the name scare you, SpeedPLAY is not just for ?fast? runners, it is open to anyone who wants to work on becoming more efficient while challenging their current running pace. Speed work is an important part of any training routine. Speed work doesn?t just make you run faster. It makes you fitter, increases the range of movement in your joints, makes you more comfortable at all speeds, and it will ultimately help you to run harder for longer. These sessions have been carefully designed to be beneficial to those who specialize in any distance and can be utilized by many levels of runners. In addition, interval type training is one of the most efficient ways to burn calories!